Citation: Salem TB, BelFeki N, Lamloum M, et al. Peripheral Neuropathies in Patients with Systemic Lupus Erythematosus. J Neurol Neurosci. 2016, 7: S3. Introduction: Peripheral neuropathy (PN) is a known but uncommon manifestation of systemic lupus erythematosus (SLE). Patients and methods: We conducted a retrospective study over 14 years period. Patients diagnosed with SLE (revised ACR criteria for SLE diagnosis) and presenting PN at any time of the disease course are studied. Patients having another disease which could be complicated with PN are excluded. Results: Five SLE patients have PN (2% of our 246 SLE patients). They are four women and a man. Their mean age at PN diagnosis is 29.8 years [ranges 24 and 36 years]. PN reveal SLE in three patients and occurs three years after the SLE diagnosis in two patients. Three patients have polyneuropathy and one have mononeuropathy multiplex. Acute demyelinating polyradiculoneuropathy and chronic inflammatory demyelinating polyneuropathy are noted each in one case. In all patients, PN is concomitant with other SLE manifestations supporting a disease flare. Antinuclear and anti-DNA antibodies are positive in four patients conjointly with the PN. In the other patient, they become positive two years later. All patients are treated with high dose glucocorticoids. Immunosuppressant agents are given in four patients; cyclophosphamide in three cases, and azathioprine in one case. The general outcome at the end of the treatment is favorable; two patients are free of symptoms and three others have minimal neurological sequelae. Conclusion: PN is uncommon in SLE but can involve functional prognosis. When they are treated early, the outcome is good. Systemic lupus erythematosus (SLE) is a multisystem autoimmune disorder with wild spectrum of clinical presentations. It affects both the central (CNS) and the peripheral nervous system (PNS). The American College of Rheumatology described cases definitions and classification criteria for 19 CNS and PNS syndromes observed in SLE . Various forms of lupus-related neuropathies have been reported in 10–20% of patients with SLE . Their clinical presentation depends on the diameter of the affected nerve, in the type of demyelinating or axonal lesions, and their acute or chronic occurrence . We report the case series of five patients presenting with PN attributable to SLE, specifying the subtype, the treatment, and the outcome. We conducted a retrospective study over 14 year’s period (2000-2013). Patients diagnosed with SLE (revised ACR criteria for SLE diagnosis) and developing PN at any time of the disease course are studied. Patients having another disease which could be complicated with PN are excluded (Table 1). Table 1: Demographic, clinical and immunological characteristics of patients with systemic lupus erythematosus at the moment of peripheral neuropathy occurrence, treatment and outcome of the neuropathy. A 36-year-old male patient complains of burning pain in the legs and swollen ankles and hands. On physical examination, his ankles are inflated and warm and he has bilateral synovitis of the wrist joints. Respiratory and cardiovascular system examination is normal. He has generalized muscle weakness and tendons reflexes are absent in lower limbs and decreased in upper extremities. Pinprick sensation is diminished in the right side. Laboratory findings reveal leucopenia 2500 el/mm3 and lymphopenia 600 el/mm3. Serum protein electrophoresis, renal function, liver enzymes, folate and vitamin B-12 levels are within normal ranges. Urine analysis is normal. Antinuclear antibodies (ANA) titer is 1:800 with a speckled pattern. Anti- DNA and anti-cardiolipin (anti-CL) antibodies are positive. Electromyogrphy (EMG) concludes to a sensitive-motor axonal mononeuritis multiplex with myogen patterns. Histological examination of neuro-muscular biopsy shows no inflammatory infiltrate but muscular atrophy. The findings are consistent with SLE and patient is treated with prednisone and hydroxychloroquine. At last review, 24 months after the onset, he improves and still has minimal paresthesias. A 28-year-old woman presents to our hospital with purpuric lesions, painful lower limbs and fatigue. She has no history of xerostomia or xerophthalmia. Respiratory, cardiovascular, and abdominal examination is normal. Nervous system examination shows feet hypoesthesia and normal tendon reflexes. Purpuric and necrotic lesions are apparent in her legs. Routine laboratory tests including complete blood count (CBC), renal, liver, and inflammatory parameters are normal. Hepatitis B virus (HBV), hepatitis C virus (HCV) and Human Immunodeficiency virus (HIV) serology are negative. ANA and antineutrophil cytoplasmic antibodies (ANCA) and cryoglobulinemia are negative. Histological findings of the skin biopsy consist in perivascular lymphocyte infiltrate in the derma and a leukocytoclastic vasculitis. EMG shows severe sensory axonal neuropathy of lower limbs. Examination of nerve biopsy note vessels wall thickness without any inflammation. Prednisone is given at a dose of 50 mg/day with progressive tapering, with intravenous cyclophosphamide. She achieves a complete resolution of her neurologic symptoms and treatment is discontinued after six months. EMG findings at 10 months improve. ANA and ANCA still negative at 6 and 12 months. Two years later, she complains of fever and polyarthritis. On examination, temperature is at 38°C. Skin examination reveals malar rash. Blood investigations show leucopenia 3000 el/mm3 with lymphopenia 600 el/mm3 and CRP is increased at 40 mg/l. Urine analysis is normal. The antinuclear antibodies titer is 1: 800 and anti-ds DNA are positive. Anti-extractable nuclear antigens (anti-ENA), anti-CL antibodies and cryoglobulinemia are negative. Chest X-ray and echocardiography are normal. The diagnosis of SLE is established. She is treated with hydroxychloroquine and prednisone 15 mg/day. Full resolution of her rheumatologic symptoms is attained after fourth weeks of treatment. Prednisone is gradually tapered down and finally discontinued 6 months later. Currently, seven years later, she is in full clinical remission. A 29-year-old woman, with a three years history of SLE, complains of lower limbs numbness over a period of 4 months. Furthermore, she reports fatigue and eyelid edema in the morning without sicca symptoms. On examination, we note lower limbs edema. Tendon reflexes are absent in lower extremities and vibration sense are diminished but soft touch remains unaffected. There is no muscle weakness but she has distal amyotrophy. Laboratory investigations show low white blood count at 2700 el/mm3, low lymphocytes count at 900 elements/mm3 and normal CRP level. Proteinuria is positive at 4.2 g/24 hours. ANA, anti-DNA, anti-Ro and anti-CL antibodies are positive. Minor salivary gland biopsy is normal and renal biopsy concludes to membranous glomerulonephritis. EMG reveals a motor sensory axonal neuropathy. The patient is started on high-dose of oral prednisone and intravenous cyclophosphamide pulses followed with azathioprine. Currently, 8 years later, the patient is completely asymptomatic. A 32 year-old woman has a three years history of SLE complicated with autoimmune hemolytic anemia. She is treated with hydroxychloroquine and prednisone with favorable issue. She presents with a progressive and ascending symmetrical weakness without dysphagia or opthalmoplegia. Physical examination notes muscle weakness and loss of tendon reflexes in all extremities. Laboratory tests reveal leucopenia (2000 el/mm3) and low platelet count 90,000 el/mm3. Renal function tests, creatine phosphokinase, and urinalysis are all normal. Serum electrophoresis reveals polyclonal hypergammaglobulinemia. Immunological investigations revealed positive ANA, anti-DNA, anti-Sm and anti-RNP antibodies. Cryoglobulinemia is negative. Cerebrospinal fluid (CSF) is acellular with elevated protein content. EMG shows F waves prolongation and motor conduction velocity is low in her four members, confirming the diagnosis of an acute demyelinating polyradiculoneuropathy. The serodiagnosis of HCV, HBV, HIV, and Campylobacter jejuni are all negative. The serodiagnosis of cytomegalovirus (CMV) is positive (Ig M and Ig G) but polymerase chain reaction (PCR) of CMV in serum is negative. A new relapse of her SLE with a Guillain-Barre’s syndrome (GBS) is retained and she is treated with high doses of steroids and azathioprine with a good outcome. Currently, after 6 years, the patient has improved from neurological symptoms and her lupus is on remission. A 24-year-old woman, without medical history, presents with progressive numbness of the hands, weakness of legs since five months, and arthritis. On examination, she has hyporeflexia on the 4 limbs and wrist and metacarpophalangeal joints are swollen. Laboratory findings show leucopenia, lymphopenia, and polyclonal hypergammaglobulinemia on serum electrophoresis. Urine analysis, creatinine and liver enzymes are normal. ANA, anti- DNA, anti-Sm, anti-RNP, and anti- Ro60 antibodies are positive. Serodiagnoses of HIV, HBV, HCV, CMV, and EBV are negative. Minor salivary gland biopsy is normal. CSF analysis shows albuminocytologic dissociation and EMG reveals axonal denervation changes in the distal muscles on the four limbs concluding to a chronic inflammatory demyelinating polyneuropathy (CIDP). The diagnosis of CIDP complication SLE is established. The patient is treated with hydroxychloroquine, high dose of prednisone (55 mg/day) and monthly infusions of cyclophosphamide for a period of 6 months. Maintenance treatment consisted on azathioprine and low dose of prednisone with a satisfactory response. After 4 years, she still has mild sequelae on her legs. Neurological manifestations of systemic lupus erythematosus are common and numerous. The prevalence of neuropsychiatric lupus varies from 37 to 95% and is depending on definition of neuropsychiatric manifestations, study design, study population and the severity of the symptoms . They mainly involve the central nervous system, peripheral involvement are rare. The overall prevalence of peripheral neuropathies is difficult to establish with certitude. The review of literature gives few results and samples depends on the PN diagnosis criteria, wherever it’s based on EMG findings or on both clinic and EMG features. It is estimated to 2-3% of SLE patients  which is similar to our group. Symptomatic PN is found in 2% of our 246 SLE patients. In a recent paper, Oomatia et al., in a study of 2097 SLE patients noted that the prevalence of PN is 5.9%, and only two thirds of these patients have PN attributable to SLE (82 of 2097 patients) . This is substantially lower than frequencies observed in previous studies in which PN occur in 10–20% of SLE patients . Such earlier studies are published in an era when SLE is not aggressively treated, included a comparatively smaller number of patients, or systematically screened for SLE peripheral neuropathies even in the absence of neuropathic symptoms. In our case series we aim to study PN attributable to SLE. We consider SLE patients defined by the revised ACR classification criteria  and who satisfy definitions of peripheral neuropathies provided by task forces from the American Academy of Neurology and the American Academy of Physical Medicine and Rehabilitation . We exclude patients who doesn’t undergo EMG and we rule out differential diagnoses by systematic anamnesis, physical examination, and laboratory data metabolic causes (vitamin B12 deficiency, diabetes, hypothyroidism), alcohol abuse, infectious causes, traumatic causes, iatrogenic causes, paraproteinemia, uremia and autoimmune associated conditions to SLE (Sjögren’s syndrome and mixed cryoglobulinemia). Serodiagnosis of neurotrope viruses is negative in all cases except positivity of CMV in the clinical case number 4. CMV could have been a subclinical infection responsible for the patient’s IgM positivity, but it could also have been an incidental finding or a false positive serology in patients with SLE. This is based on previous reports about false positive CMV serology in SLE . As CMV PCR is negative, virus responsibility is excluded in our patient. PN is inaugural in 3 cases of this series and occur 3 years after SLE diagnosis in 2 cases. This suggests that, like central nervous system involvements in SLE, PN occurs early in the disease course . Florica compares SLE related PN with non-SLE related PN and shows that at the time of neurological diagnosis, patients has a short disease duration . In our case series, there are two patients with polyneuropathy and one with mononeuropathy multiplex, all of them are axonal neuropathies. Two patients have sensorymotor disorders and one has only sensory lesions. In SLE, polyneuropathy is more frequent than mononeuropathy multiplex . In the series of Florica and al, frequencies of polyneurpothy and mononeuropathy multiplex are respectively 55% and 30% . These frequencies are similar in a Chinese cohort, and are respectively at 59.5% and 13.9% of SLE patients with PN . The etiopathogenesis of PN depends on its subtype. Mononeuropathy multiplex develops due to vasculitic insult to vasa nervosum. Wallerian degeneration of nerve fibers is due to ischemic infarction caused by vasculitis . Sensory neuropathy causes a pure sensory disorder because of the involvement of sensory neurons within the dorsal root ganglion . The degeneration is associated with an inflammatory T-cell reaction driven mainly by a cell mediated immune response . We do not systematically perform nerve biopsy to establish the diagnosis; it is done in a patient with associated muscular involvement confirmed by the EMG and in a second one who present with the purpuric lesions suggesting vasculitis. In fact, nerve biopsy can be invasive and may lead to neurological after-effects and histological findings can be helpful only in difficult situations where nerve conduction studies are non-contributive. If electrodiagnostic studies are normal, small-fiber neuropathy may be diagnosed by skin biopsy demonstrating loss of intraepidermal nerve fibers . Demyelinating polyradiculoneuropathy (PRN) is more rare and acute. In our series, we noted two patients among five with polyradiculoneuropathy which is more frequent then other series. In all series, PRN is seen in less than 10% of PN in SLE patients; 1.3% of the 73 patients of Xianbin  and 6.2% in Florica patients . In this last study, the frequency is probably up estimated because part of the PN is not related to SLE. In fact, acute or chronic demyelinating polyradiculoneuropathy should be diagnosed prudently. Numerous diseases have been associated with these conditions, including other connective tissue diseases especially Sjogren syndrome and cryoglobulinemic vasculitis, diabetes mellitus among others . Since the 1950’s, only a few reports (thirty) have included such cases . Our patient with GBS recovered from her neurological complaints, this is in contrast with the literature where this variety of PN usually presents a rapid disease course leading to paralysis and often requires ventilatory support despite adequate treatment . CIDP as a main feature in SLE, is rare and has been reported in only a handful of cases. It has a subacute onset, is predominantly motor and affects proximal and distal muscles, reflecting segmental demyelinating . According to the EULAR recommendations of the management of neuropsychiatric manifestations in SLE  and especially in these manifestations thought to reflect immune or inflammatory process, all our patients are treated with high doses of corticoids. Immunosuppressive agents are administered in cases with severe deficit. Cyclophosphamide is the first line prescribed immunosuppressive agent in 3 cases and azathioprine in one case. In fact, peripheral neuropathy associated with SLE responds inconstantly to intravenous immunoglobulin, whereas corticosteroids and cyclophosphamide seem more effective [20,21]. PN outcome depends on the rapidity of diagnosis and treatment. All our patients were in remission but two of them still have sequelae, may be because they were diagnosed some months after the beginning of the symptoms especially patient 5 who had CIDP. This case series illustrates the clinical picture of rare aspect of SLE patients, the tool to diagnosis, and the therapeutic armamentarium. We suggest the efficacy and safety of intravenous cyclophosphamide as immunosuppressive agent during attack phase of the treatment with favorable outcome. Further studies will be needed to confirm this beneficial effect. The American College of Rheumatology nomenclature and case definitions for neuropsychiatric lupus syndromes (1999) Arthritis Rheum 42: 599-608. Levin KH (2004) Variants and mimics of GuillainBarre syndrome. Neurologist 10: 61-74. Haou-nou FZ, Dehbi S, Zahlane M, Kissani N, Essaadouni L (2014) Acute polyradiculoneuropathy revealing systemic lupus erythematosus: an unusual presentation with fatal outcome. Rev Med Interne 35: 65-67. Unterman A, Nolte JE, Boaz M, Abady M, Shoenfeld Y, et al. (2011) Neuropsychiatric syndromes in systemic lupus erythematosus: a meta-analysis. Semin Arthritis Rheum 41: 1-11. Bertsias GK, Ioannidis JP, Aringer M, Bollen E, Bombardieri S, et al. (2110) EULAR recommendations for the management of systemic lupus erythematosus with neuropsychiatric manifestations: report of a task force of the EULAR standing committee for clinical affairs. Ann Rheum Dis 69: 2074-2082. Oomatia H, Fang H, Petri M, Birnbaum J (2014) Peripheral neuropathies in systemic lupus erythematosus: clinical features, disease associations, and immunologic characteristics evaluated over a twenty-five–year study period.Arthritis Rheumatol 66: 1000-1009. Smith EL, Shmerling RH (1999) The American College of Rheumatology criteria for the classification of systemic lupus erythematosus: strengths, weaknesses, and opportunities for improvement. Lupus 8: 586-595. Joint Task Force of the EFNS and the PNS (2010) European Federation of Neurological Societies/Peripheral Nerve Society Guideline on the use of skin biopsy in the diagnosis of small fiber neuropathy: Report of a joint task force of the European Federation of Neurological Societies and the Peripheral Nerve Society. J PeripherNervSyst 15: 79–92. Gandhi MK, Khanna R (2004) Human cytomegalovirus: clinical aspects, immune regulation, and emerging treatments. Lancet Infect Dis 4: 725–738. Florica B, Aghdassi E, Su J, Gladman DD, Urowitz MB, et al. (2011) Peripheral neuropathy in patients with systemic lupus erythematosus. Semin Arthritis Rheum 41: 203-211. Su YJ, Huang CR, Chang WN (2014) The Association between autoantibodies and peripheral neuropathy in lupus nephritis. Biomed Res Int. Galeazzi M, Annunziata P, Sebastiani GD (2000) Anti-ganglioside antibodies in a large cohort of European patients with systemic lupus erythematosus: clinical, serological, and HLA class II gene associations. European concerted action on the immunogenetics of SLE. J Rheumatol 27: 135-141. Xianbin W, Mingyu W, Dong Xu (2015) Peripheral neuropathies due to systemic lupus erythematosus in China. Medicine (Baltimore) 94: e625. Harel L, Mukamel M, Riva Brik R, Blau H (2002) Peripheral neuropathy in pediatric systemic lupus erythematosus. PediatrNeurol 27: 53-56. Chas DA, Stone JH, Gupta R (2011) Case records of the Massachusetts General Hospital. Case 14-2011: A woman with asymmetric sensory loss and paresthesias. N Engl J Med364: 1856-1865. 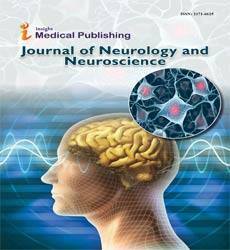 Camdessanche JP, Jousserand G, Ferraud K (2009) The pattern and diagnostic criteria of sensory neuronopathy: a case–control study. Brain 132: 1723-1733. Tseng MT, Hsieh SC, Shun CT (2006) Skin denervation and cutaneous vasculitis in systemic lupus erythematosus. Brain 129: 977–985. Van Den Bergh PY, Hasden RD, Bouche P (2010) European Federation of Neurological Societies/Peripheral Nerve Society guideline on management of chronic inflammatory demyelinating polyradiculoneuropathy: report of a joint task force of the European Federation of Neurological Societies and the Peripheral Nerve Society—first revision. Eur J Neurol 17: 356-363. Hughes RA, Cornblath DR (2005) Guillain-Barre syndrome. Lancet 366: 1653–1666. Jasmin R, Sockalingam S, Shahrizaila N, Cheah TE, Zain AA, et al. (2012) Successful treatment of chronic inflammatory demyelinating polyneuropathy (CIDP) in systemic lupus erythematosus (SLE) with oral cyclophosphamide. Lupus 0: 1-5. Zoilo MA, Eduardo B, Enrique F, Del Rocio MV (2010) Chronic inflammatory demyelinating polyradiculoneuropathy in a boy with systemic lupus erythematosus. RheumatolInt 30: 965-968.